Ah kids. One day they’re a gurgling bundle of joy nestling in your arms, the next they’re snapping necks and loading techs. 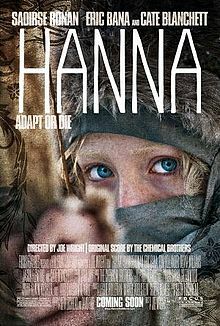 At least this is the case in Hanna, Joe Wright’s latest offering which sees him take a wild departure from his usual mix of period costumes and melodrama to try his hand at an action thriller. The film opens in the silent, snowy beauty of the Finnish wilderness as Hanna (Saoirse Ronan) stalks a stag with chilling precision. Wounding her prey with a bow and arrow, she approaches its dying form and utters the line “I just missed your heart” before putting a bullet between its eyes. Thus Hanna explodes onto the screen with an opening that will resonate later on in the film. Hanna has been raised by her father Erik (Eric Bana) a former CIA operative, away from any kind of society and trained vigorously to be a deadly fighting machine. Her life’s purpose is to kill Marissa Wiegler (Cate Blanchett) the corrupt CIA agent responsible for the death of her mother. As Hanna grows in strength and skill she decides that she is ready, and sends out a beacon that alerts Marissa to her father’s whereabouts. Hanna is captured and detained, but a suspicious Marissa sends a body double in her place to meet Hanna and sees her doppelgänger quickly disposed of before Hanna escapes from the CIA compound. Realising the need to have Erik and his daughter captured and killed, Marissa enlists the services of the sinister Isaacs (Tom Hollander) and a chase from Morocco to Berlin unfolds. Any assassin film made post Bourne must now contend with inevitable comparisons to the Matt Damon fronted franchise. Hanna appears to welcome such comparisons rather than fighting against them, with its international locations and constant focus on the almost super-human abilities of its protagonist. However there are also echoes of Run Lola Run here, particularly emphasised by the pulsating soundtrack provided by The Chemical Brothers, which punctuates scenes of both fight and flight as Hanna determines how best to resolve each situation. With her almost white blonde hair, snow-globe eyes and underlying sense of menace, the character also invites comparisons to Sissy Spacek in Carrie. Such influences help Hanna to achieve its desired tone, which aims for somewhere in between an espionage thriller and a Grimm’s fairytale (which I have deduced from the frequent references to Grimm’s fairytales throughout the film). 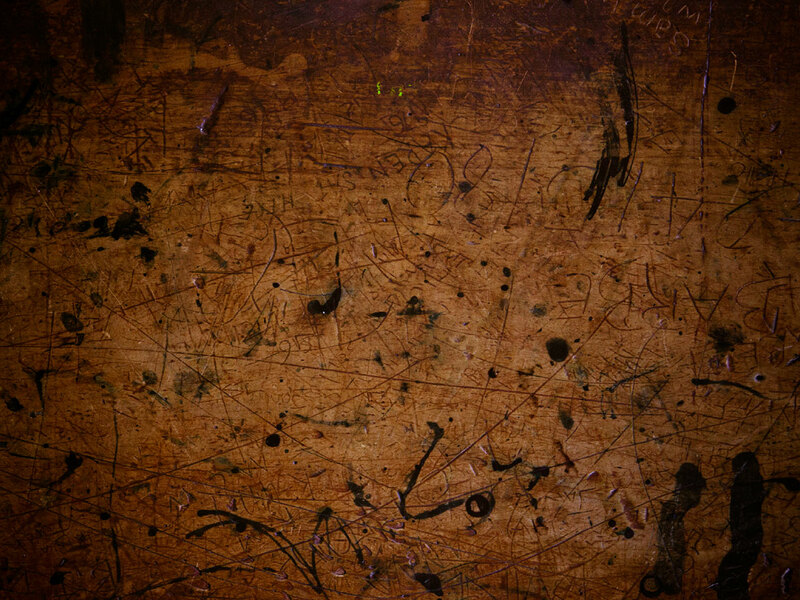 It is the sense of the familiar yet strange, reality yet unreality which allows Wright to nail his tone to perfection. This is not to say the film lacks originality, there is plenty of that, as well as artistic flair here. Considering his grounding in films such as Pride and Prejudice and Atonement it is perhaps surprising that Joe Wright handles Hanna’s action sequences so expertly, his preference for long takes and tracking shots is a welcomed relief from the rapid editing and shaky camera work which seems to be in vogue for Hollywood action films. He even manages to bring a fresh approach to one of the genre’s oldest clichès, the training montage, as Hanna’s recital of her false backstory forms the backing track to which the sequence is cut. Given a difficult role in terms of both the physical trials of the character and the lack of emotion she is asked to express, Saoirse Ronan again displays why she tops so many casting directors wish lists. Her performance is composed and assured, capturing both Hanna’s skill in dealing with adversity and her naivety of how the world outside of her own experience works. This is drawn out particularly well by her touching friendship with Sophie, a young English girl she meets on her travels. Her dealings with Sophie and her family not only provide some timely comic relief, but add touch of humanity to a character who could otherwise have become monstrous. Elsewhere Eric Bana is his usual dependable self as Hanna’s father and Cate Blanchett is an imposing as Marissa, her southern drawl and fierce red hair making her a memorable, if slightly one dimensional villain. However, aside from the ever impressive Ronan, the real star of Hanna is Joe Wright, who drains every ounce of emotion, tension and excitement from a story that could easily have been farcical in less capable hands. He has shown himself to be more versatile than his previous efforts would have suggested, not merely coping with the film’s action sequences but infusing them with the kind of artistic revelry too rarely seen in action films these days. He has also drawn a performance from his star which places her firmly in the upper echelon of leading females in Hollywood, she has come on leaps and bounds from the young girl we were introduced to in Atonement. Kids, they grow up so fast.